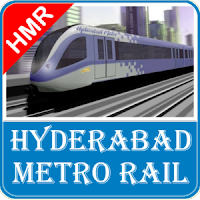 The Hyderabad Metro is a rapid transit system, serving the city of Hyderabad, Telangana, India. It is in Secant Operational model. Candidates who have completed Any Bachelor’s degree and serving or retired IRSSE officer with experience in Group ‘A’ Service in Indian Railways or equivalent from a recognized Institute for HMR Recruitment 2018. Eligible & Interested candidates can download the Notification & Application form on the Official website page at www.hmrl.telangana.gov.in HMR Recruitment 2018.